— Tania Larsson, Gwich’in Artist and Founding member. 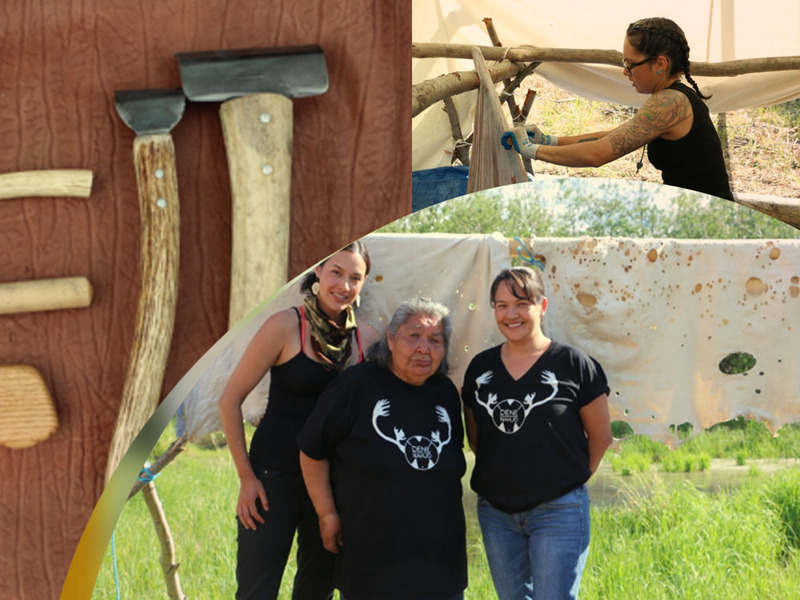 This project is a three-week moose & caribou hide tanning camp in Yellowknife, Canada. Hide tanning is an important contemporary cultural practice, but the opportunities to learn are not readily accessible to many women. Tanning includes different stages through which people relate to their territories and the knowledge they have of their lands. Moreover, moose & caribou hide tanning opens the space for intergenerational knowledge exchange. Leadership & capacity building workshops for indigenous women leaders in areas such as: leadership and governance, cultural revitalization, political and business skills, family and women building workshops, traditional clothing in a contemporary setting, as well as technical skills like grant-writing and accessing social media. Possible production of one finished hide for future PWNHC use.